I will be at a conference this weekend and will not be writing a game report. I will be writing a reflections column early next week. Clemson will face Paul Johnson’s legendary flexbone veer offense Saturday in Atlanta – and the Yellow Jackets’ new defensive coordinator comes from Appalachian State (where Georgia Southern’s defensive coordinator came from also). This means that schematically Georgia Southern and Georgia Tech’s defense will be similar, the difference is that Georgia Tech will have better players. Seven of the Yellow Jackets’ defensive starters are seniors – but since they are in a new scheme the advantage of experience is somewhat negated. Ever since Brent Venables came to Clemson, the Tigers have had more success stopping Tech’s unique offense compared to most regular opponents. 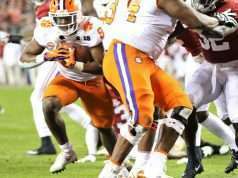 Although Clemson’s defense is quick to insist that there is no magic potion to neuter the Yellow Jackets – a normally frustrating game has become less nerve wracking with Clemson’s recent run of dominance. 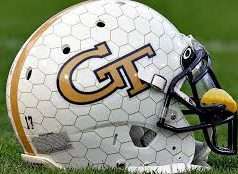 Georgia Tech’s offense is filled with veteran players – nine of the eleven starters are upperclassmen with years in Georgia Tech’s scheme. Star B-Back KirVonte Benson (whom rushed for over 1000 yards last year) is out for the year, so backups Jordan Mason and Jerry Howard will be charged with filling his role. TaQuon Marshall is a fun player to watch – but he doesn’t always make the best decisions. 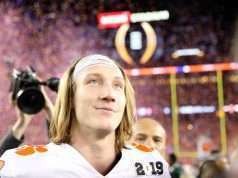 Georgia Tech fans question his decision making abilities – something that is surprising for a senior quarterback and a major impediment to their offensive performance. Although the types of decisions a Paul Johnson quarterback makes are different than in most offenses, it is still a mentally and physically taxing positon to play (especially in the run game). It was just reported that start linebacker Kendall Joseph will miss Saturday’s game – sliding fellow senior JD Davis in his starting role. 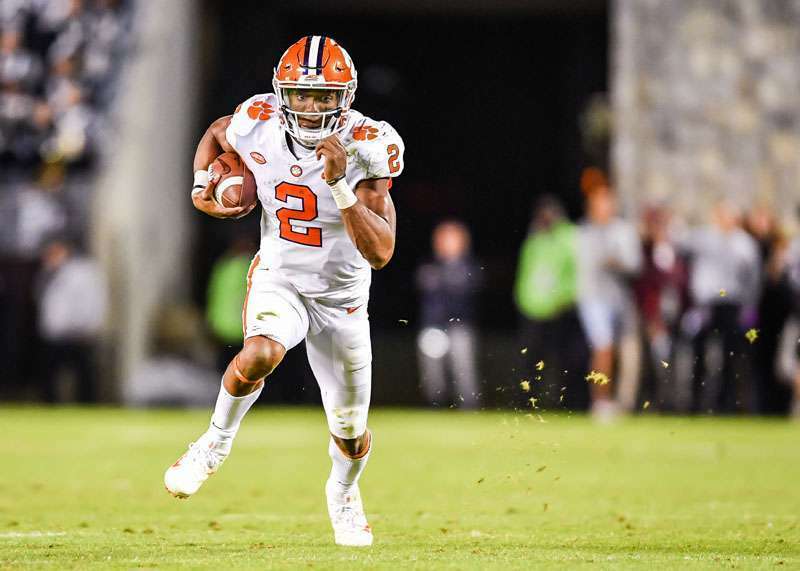 Kelly Bryant was injured last Saturday when he fell after a play on the ball. It was reported to be a chest bruise or something similar to it, but the exact nature of the injury is unknown. Bryant’s health will be a storyline to watch during the game – don’t be surprised if Lawrence plays more than usual. Oddshark.com has the spread at Clemson -15.5, the over-under at 51, and the predicted score at 39.6 to 18.2. Both teams are 0-3 against the spread.